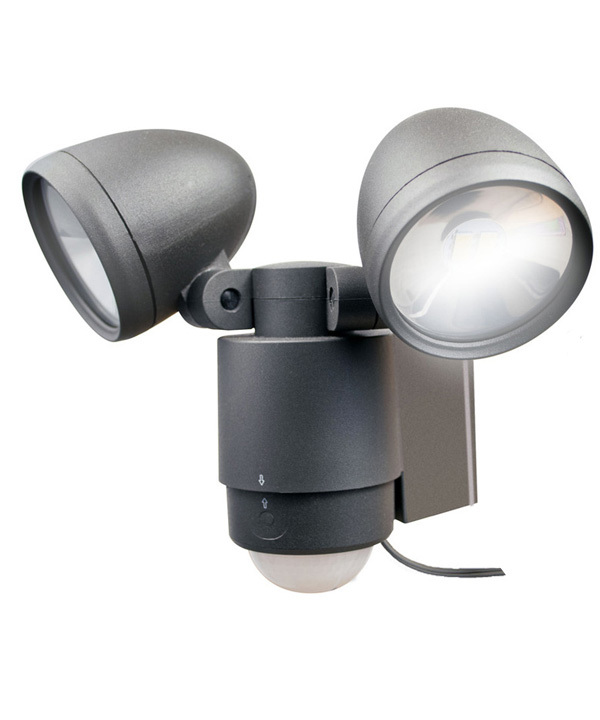 Our Motion-Activated Dual-Head Solar Spotlight in Dark Bronze provides strong, bright and reliable lights and compact dual heads that allow exceptional flexibility for the ability to direct the spotlights where you want. 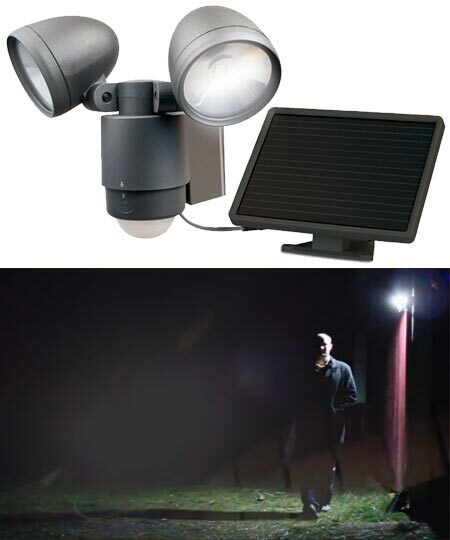 With illumation that covers large areas, this spotlight is a great way to entrances, driveways or other areas of your property where you have no access to electricity, or where you want simple, no-electrician installation and no additional electricity bills. 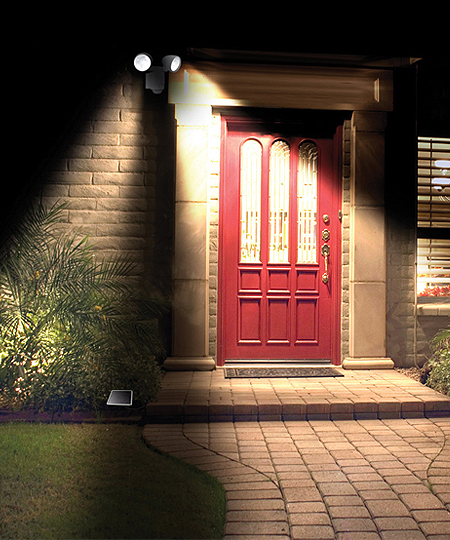 It provides the perfect amount of light to let people easily enter and exit home and car doors with keys and to let you see who is outside the door before you open it! 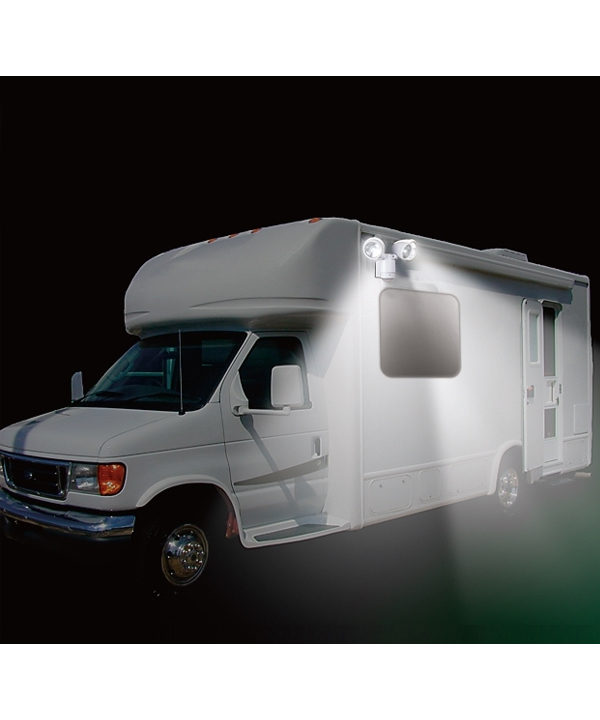 12 powerful LEDs, intensified by aluminum housing, emit 688 lumens of light. 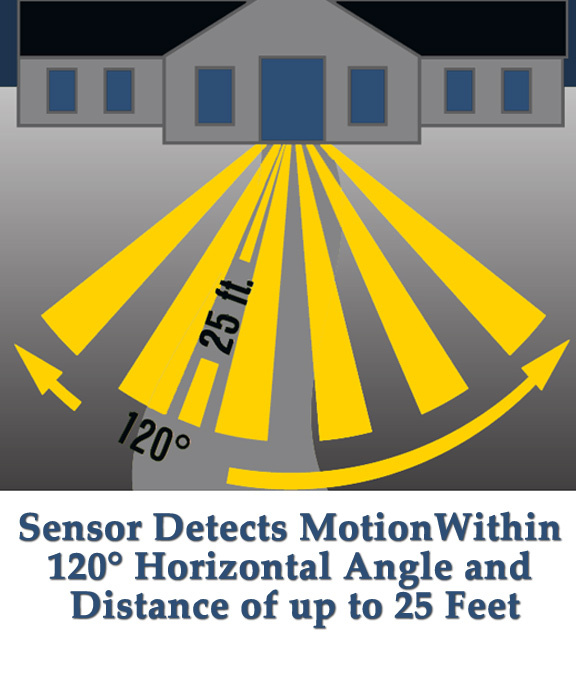 Motion activated, it turns on when motion is detected up to 25 feet away in a 120 horizontal degree angle. LUX, the amount of light/darkness that will trigger the eye to sense motion and turn-on (the early dusk to deep darkness, the light will not turn on during daylight). When fully charged (4 to 6 hours of sun), the light will turn on up to 150 times per night and stay on for up to 60 seconds each time. The solar panel also is adjustable and can be mounted on flat horizontal surfaces as well as angled rooftops. 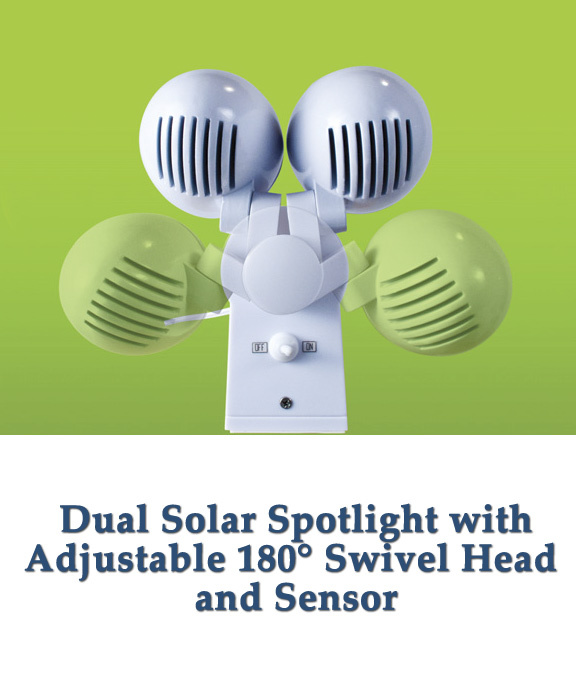 The 180 degree swivel head and sensor lets you focus where each lamp's light will shine.